Where can I find the best student discounts in Orlando? As the Orlando apartment experts, we understand that your monthly apartment rent will likely be your most hefty bill each month. Take advantage of these student discounts in Orlando and save some cash to make next month's rent payment a bit easier! From discounts on fun activities to savings on dining and shopping, there are several money-saving opportunities you should take advantage of.and looming student loans. 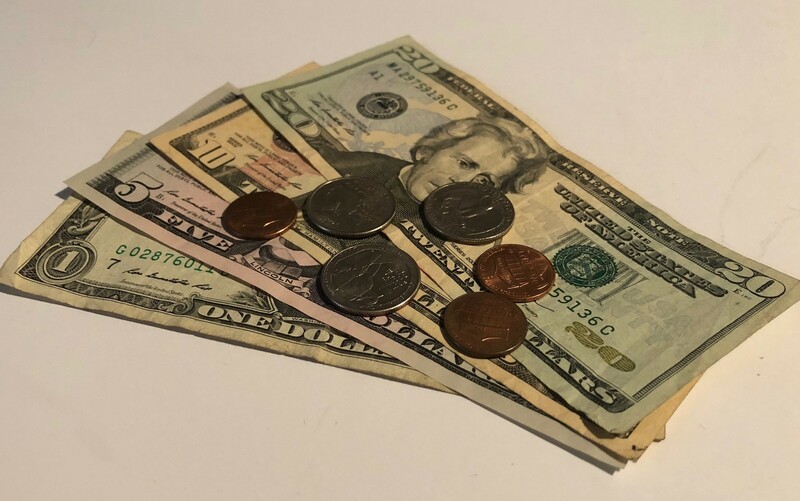 However, with a well laid out budget and a savvy shopper's spirit, students can really stretch their dollars to get the most out of their college experience. Here's some good news, many of these student discounts are valid with a University of Central Florida, Full Sail University, Valencia College, or Seminole State College student ID card. No matter which school you attend, your student ID is your pass for savings around your Orlando apartment. Soak in a day of fun in the sun at the Orlando Water Sport's Complex. Here you can learn to wakeboard or water ski like a pro. Students can take advantage of free open cable days, where trained professionals help you learn how to get up on a wakeboard. On Fridays, students can wakeboard for 4 hours for just $30, which includes the necessary gear. For additional discounts, ask about joining Knights Wake. You won't strike out at Boardwalk Bowl Entertainment Center! With 80 bowling lanes, a zombie apocalypse shooting-gallery, an arcade with all your favorite games, multiple billiard tables and two bars, there's something for everyone. Bring your socks and student ID, because bowling is only $1 per game on Tuesdays and Thursdays after 8pm. Grab your friends and head to Gilt Night Club for a night of dancing and live music. Students get the best bang for their buck on Thursdays, with admission to Gilt and a roundtrip, worry-free bus ride to and from Knights Pub for just $10. The perfect date night awaits you at Aloma Cinema Grill - where you can dine, drink and catch the latest movie all in one place. Take advantage of a full menu including wine and beer, all while enjoying the show. Student tickets are reduced to just $5.50, with valid student ID. Enjoy alternative cinema including independent, foreign and classic films at Enzian Theater, home of the Florida Film Festival. Flash your student ID for a discounted ticket price of just $9. Beat the Florida heat with a refreshing cup of frozen yogurt at Menchie's Frozen Yogurt on University Blvd. Students can fill up their cup for just $5 on Tuesday nights after 8pm – so pile it high with toppings and enjoy! At Giovanni's Italian Restaurant and Pizzeria you'll feel like you're vacationing in Tuscany or Rome with authentic Italian cuisine and outstanding service. Students receive a 10% discount when dining in, with student ID. If you're looking for a quick, yet delicious meal in between classes, Jersey Mike's at University Shoppes is the place to go. Each sub is made with fresh ingredients that are sure to satisfy your every craving. Students can fill-up on a 7-inch sub, chips and a drink for just $7.49 or a giant, 14-inch sub, chips and a drink for $12.79. Satisfy your sweet tooth with a custom ice cream or frozen yogurt creation at Cold Stone Creamery at Riverside Landings. Choose from a wide-variety of different toppings including fruit, brownie bites, cookie dough, nuts, candies, and sprinkles (of course!). Happy hour is every Tuesday from 5-7pm, where you can grab a small ice cream bowl for just $1 with toppings at an additional $1 each. wines from around the world. With a reloadable wine tasting card, you can purchase as many samples as you'd like. On Wednesdays The Wine Room matches purchased credits, meaning if you purchase $20 worth of wine tastings they'll match it for free. Start your morning off right – with a specialty tea or coffee from Chewy Boba at East Broadway. Students enjoy an extra 10% off discount, so stop in for a delicious beverage before class. 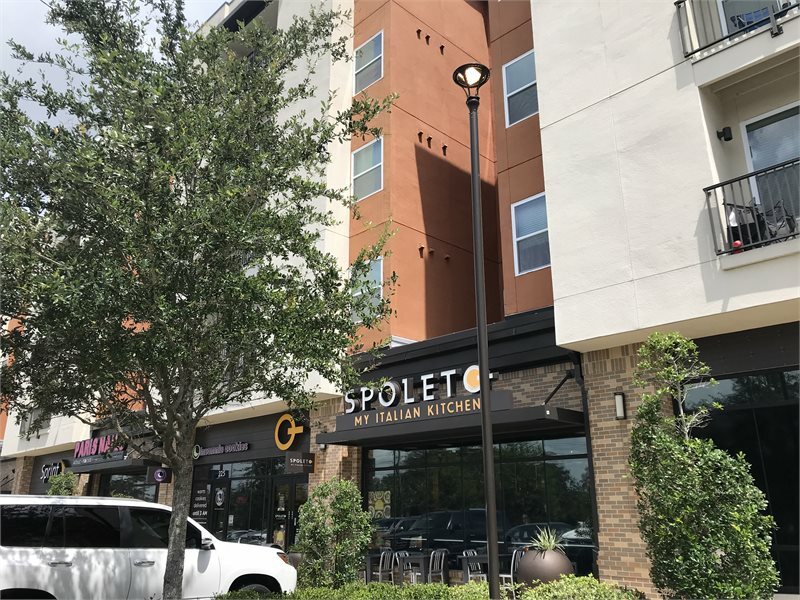 Customize your favorite Italian dishes with Spoleto Italian Kitchen'sbuild-your-own pastas, flatbreads and salads – just $7 with your student ID. Buy more for less at Bulk Nation. Buying in bulk is a great way to cut down on costs while also saving you precious time running back and forth to the grocery store to replenish your pantry. On Tuesday's you can go bananas with an extra 10% off, with valid student ID. Unleash your inner fashionista! Share your student email to receive a personalized discount code for 10% off all ASOS purchases. The code can be used multiple times and is good until you graduate. Treat yourself to a guilt free day of shopping with 15% off all purchases at Express. Show the cashier your student ID at checkout to receive the highly-coveted discount. Crafting a personalized college game day tee, decorating a cooler or creating an award-winning costume? Stop by Joann Fabric and Craft Store and receive 20% your purchase when you show your student ID. In a crunch to gather last minute school supplies for fall semester? Place a quick order on Amazon where students have access to a free 2-day shipping for six months plus discounted prime and other deals. Time to upgrade your technology! Best Buy offers exclusive deals and student coupon codes when you sign up with your student email valid instore and online. Ready to buy that new, sleek Mac Book you have always wanted? Check out Apple's education pricing where current students and recently accepted students can receive a discount up to $200 off a new Mac. In the market for a Dell that converts into a tablet for easy note taking? Check out Dell University where students can get a $100 Promo E-gift to be used on all systems over $499. Must have a valid .edu email to qualify. Got an auto policy? It pays to be a safe driver with good grades! Save up to 25% on insurance with the Allstate for smart students up to 25 years old. Looking for a new auto policy? By switching to Geico students can save between $100-$200 on an auto policy. Florida Farm Bureau offers a "good student discount" to students with a B average. Students with a State Farm policy can save up to 25% on their premium. USAA offers a student discount for college students of military service families enrolled full time under the age of 25. 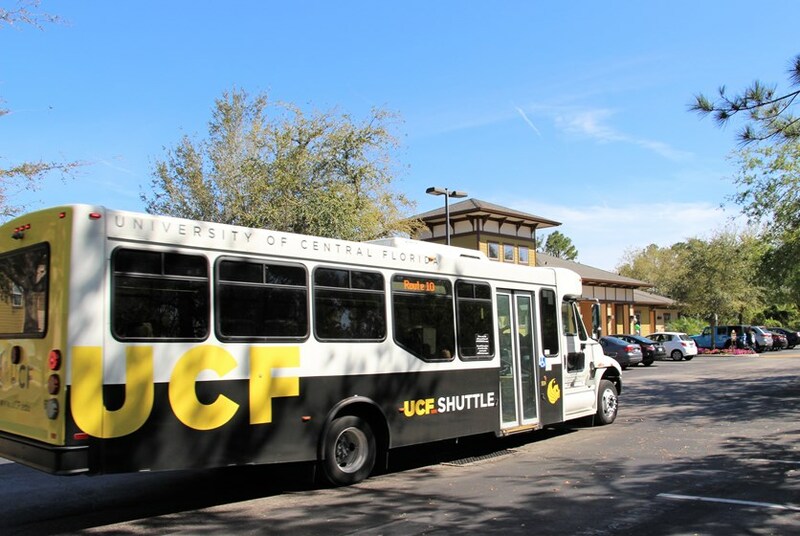 As of January, of this year the Orlando LYNX public transportation bus is now free to UCF faculty and students. Have your student ID handy and catch a free ride! Students have access to a 50% discount when they purchase a SunRail Prepaid Value SunCard. This discount is also applicable for one-way, round-trip weekly, monthly and annual passes. Taking a weekend trip home to visit family and friends? Greyhound offers students a 10% travel discount. Headed to the airport, vacation or a business trip? Coach USA offers discount rides to students on scheduled routes! See website for details. Planning a summer vacation in Europe? Lufthansa offers an exclusive U.S. student travel program. Check out their site for details on applying for a membership. If you have the travel bug check out statravel when students can find discounted travel rates for trips all over the world. Unlock access to a variety of student discounts with a UNiDAYS account. UNiDAYS partners with large retailers around the world to offer savings on food, fashion, fitness and tech. Signup is free with your .edu email address. Download student-friendly apps like Pocket Points or UConnection that give you access to exclusive shopping rewards, deals and discounts just for using your phone.